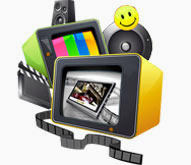 As the professional tool, both the DVD to Zune software and Zune Converter can manage output files with the useful editing functions: adjust output video effect, trim any clips from DVD or video files, crop the video play region, watermark your video and set the exact output parameters. 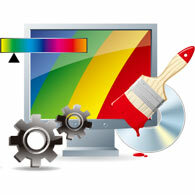 More useful functions are provided all for you. Under the help of DVD to Zune Converter, you can convert any DVD to Zune MPEG-4 (.mp4), H.264/MPEG-4 AVC (.mp4), Zune WMV and AAC, MP3, M4A, WMA audio formats. With the part of Zune Video Converter, convert any formats including MPG, MPEG, MPEG 2, VOB, DAT, MP4, M4V, TS, RM, RMVB, WMV, ASF, MKV, AVI, 3GP, 3G2, FLV, SWF, MPV, MOD, TOD, QT, MOV, DV, DIF, MJPG, MJPEG, HD TS, HD MTS, HD M2TS, HD MPG, HD MPEG, HD MP4, HD WMV, QuickTime HD MOV, HD H.264, HD RM to Zune video. 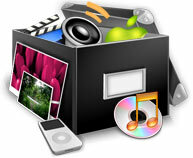 It can also extract audio from video and convert audio formats to AAC, MP3, M4A, WMA audio formats for Zune. 4Easysoft DVD to Zune Suite allows you to add text or picture watermark according to your preference. You can customize your watermark from horizontal position, vertical position and transparency. 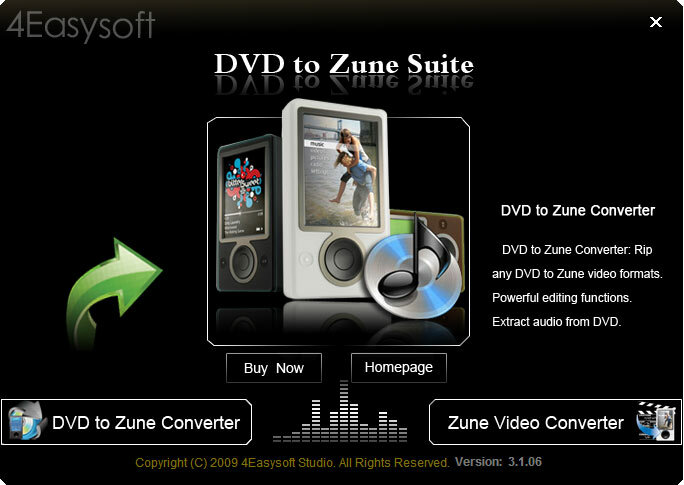 4Easysoft DVD to Zune Suite also assists you to choose audio track and subtitle to meet your need. Add text or picture watermark and customize it as you like.